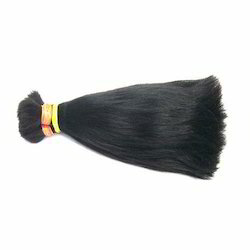 We introduce our business as a noteworthy organization of qualitative array of Non Remy Single Drawn Hair. Our Non-Remy single drawn bulk hair is processed , cleaned and sterilized using high quality technology to get premium quality hair. To get flawless bulk human hair it is examined to match the parameters with the international quality standards.Lengths are available from 8" to 32". 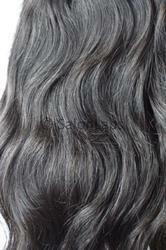 We are highly acknowledged organization engaged in presenting a remarkable range of Non Remy Double Drawn Human Hair.